In 2016, Medill News Service ranked Klobuchar as the senator who sponsored or co-sponsored the most bills that were enacted into law. Since she was elected U.S. Senator in 2007, she has also demonstrated a solid record of introducing and supporting legislation that strengthens disability rights. Below is a non-inclusive list of some of this legislation, in no particular order. The Americans with Disabilities Act Amendments Act (ADAAA) of 2008 was enacted to remedy our courts’ misinterpretation of the ADA’s definition of disability. Courts restricted the definition so much that it became extremely difficult for a person to bring a successful ADA claim. In response, Congress passed the ADAAA, which Klobuchar co-sponsored soon after being elected, to ensure that courts could no longer restrict disability rights in this way. 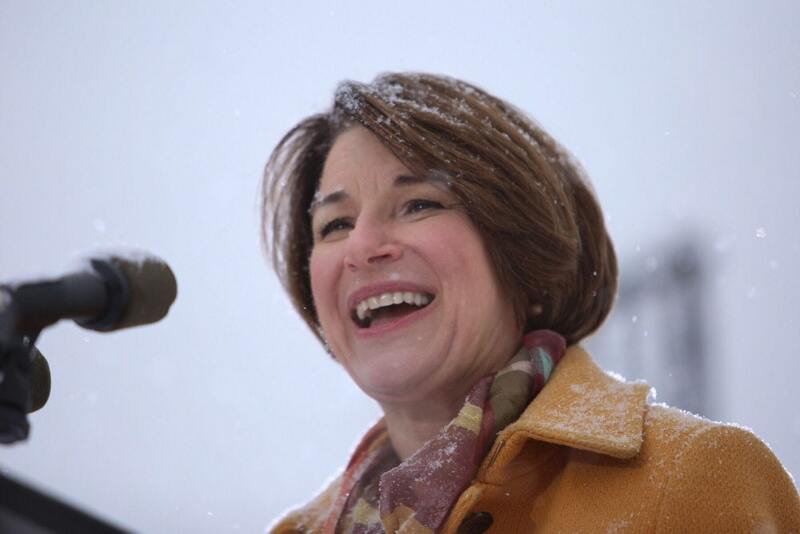 The Achieving a Better Life Experience (ABLE) Act, which Klobuchar worked diligently to pass, established new tax advantaged savings accounts, called ABLE Accounts, to allow people with disabilities and their families to save for their futures and help cover important expenses like education, housing and wellness, without losing their disability benefits. Any individual who is blind or diagnosed with a disability before the age of 26 and getting benefits through the Social Security disability program automatically is eligible. ABLE Accounts allow individuals and families to save, tax-free, $14,000 per year, up to $100,000, and to take money out without extra tax penalties. “The whole idea is to give people with disabilities a better ability to save money,” said Klobuchar. On January 29, 2019, Senator Klobuchar introduced the Disability Employment Incentives Act with a few other Democrats (S.255). The Act would substantially increase three tax credits for employers that encourage hiring workers with disabilities. This Act is one of the only bills Congress has introduced in recent past to address the dismal unemployment rate of Americans with disabilities. This year, the Disability Statistics Compendium, released by Institute on Disability at the University of New Hampshire, showed that the employment rate for people with disabilities last year was 37 percent, compared to 77.2 percent of people without disabilities. Politicians, like Klobuchar, believe the Disability Employment Incentives Act could improve the pressing issue of unemployment for people with disabilities. On November 28, 2018, Klobuchar, with a few other Democrats introduced the Readying Elders and Americans with Disabilities Inclusively (READI) for Disasters Act. The Act creates a system whereby government agencies better involve and support people with disabilities during times of disasters. It establishes a National Commission on Disability Rights and Disasters to study the needs of individuals with disabilities during disasters. It requires a review of the amount of disaster funds spent to ensure people with disabilities have access to services and buildings reconstructed after disasters. And the bill requires the Department of Justice to examine how civil rights of people with disabilities are treated during and following disasters. The Steve Gleason Act amends Medicare to make permanent the elimination of a specified payment cap under the Medicare program with respect to speech generating devices. People with amyotrophic lateral sclerosis (ALS) quickly lose their ability to speak and rely entirely upon speech generating devices to live and communicate. Congress, with bipartisan support, recognized in passing this law that Medicare should be required to cover these devices, regardless of the cost. 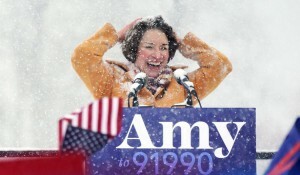 Indeed, Klobuchar found this bill so important that she visited ALS patients to bring awareness to the Act. On February 6, 2019, Klobuchar and other Democratic Senators introduced the Forcing Limits on Abusive and Tumultuous (FLAT) Prices Act to help prevent sudden, outrageous price hikes for prescription medications. The law will reduce the government-granted monopoly period of five to 12 years for these drugs if their prices are increased by 10 percent or more in a year or by similar amounts over multiple years, thereby allowing lower-cost generic drugs to enter the market earlier. Many people with disabilities often rely on costly prescription medications to live. When the price of these medications becomes prohibitive, people with disabilities either forgo or dangerously ration the medication. 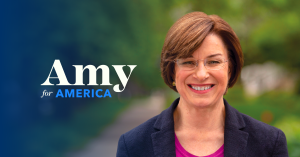 On February 26, 2019, Klobuchar signed on to co-sponsor the Disability Integration Act (DIA). The DIA, a bill introduced by Sen. Chuck Schumer (D-NY) and Rep. Jim Sensenbrenner (R-WI), would require private health insurance to cover long-term care, such as in-home nursing care and personal care attendants for people with disabilities. Many people with disabilities require assistance with activities of daily living such as showering, toileting and dressing. Long-term care coverage permits them to live independently in their own communities. Klobuchar announced her presidential campaign through an announcement speech to a large crowd on Boom Island, Minnesota, and an announcement video. For a candidate to be fully inclusive of Americans with disabilities, she must include accurate and descriptive captioning, as well as mention and depict people with disabilities in whichever method(s) she chooses. Klobuchar’s announcement speech was inclusive of people with disabilities because she told a chilling and, unfortunately, all-too-common story of a young man with diabetes in her state who died due to rationing the insulin he couldn’t afford. And her announcement video was inclusive because she had open captioning and depicted a diverse array of individuals in the video, including one person with a visible disability – a senior who walks with the assistance of a walker. 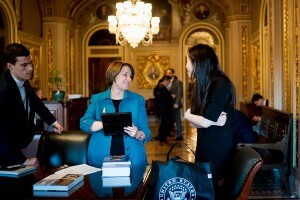 Since she announced her candidacy, Klobuchar also has continued to be inclusive of people with disabilities. During a recent CNN Town Hall, she mentioned the words “down syndrome,” “diabetes,” “alcoholism,” “addiction” and “autism” in a meaningful way. When responding to a question on school shootings, she even responded with how devastating they are on students with disabilities, due to a lack of emergency evacuation measures available to assist these students. Voter research, conducted by RespectAbility, shows how disability issues connect to all aspects of American life. Klobuchar is running as an all-American presidential candidate, from growing up in a middle-class family in the heartland of America as the child of a teacher and an immigrant. 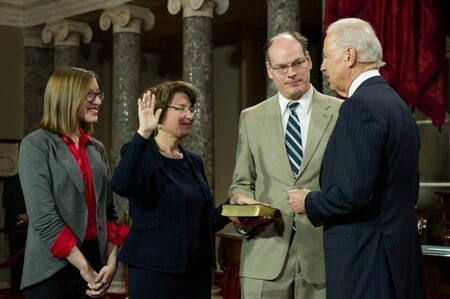 Being all-American means, in all likelihood, the person has been touched by disability, as Klobuchar has. More importantly, her personal experience with disability has led her to be a U.S. Senator who helps people with disabilities. If her campaign continues to be more inclusive of people with disabilities, the 74 percent of voters who have been touched by disability might find that Klobuchar represents the America and the American issues closest to their hearts.